When it comes to rhetorical use of upstate New York unemployment statistics, Governor Cuomo is consistent. Unfortunately, he’s consistently misleading. 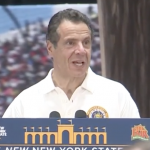 The latest example came at today’s ribbon-cutting for the new 136,000-square-foot Expo Center at the state fairgrounds in Syracuse, where Cuomo delivered a roughly 25-minute stream-of-consciousness riff that focused on what he portrayed as an economic turnaround in upstate and the Syracuse area. 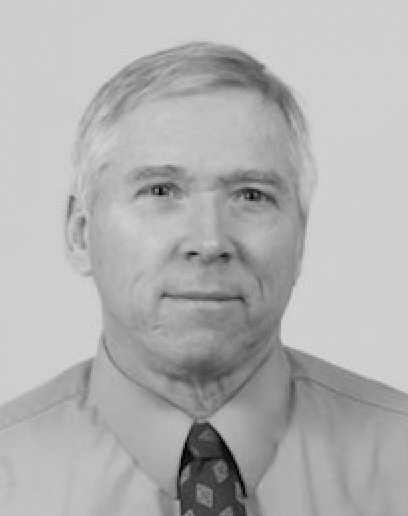 Keep in mind, however, that the unemployment rate is based on a household survey that estimates the number of residents who report they are employed as a percentage of the labor force, which is the number of residents who say they are available and actively seeking to work. 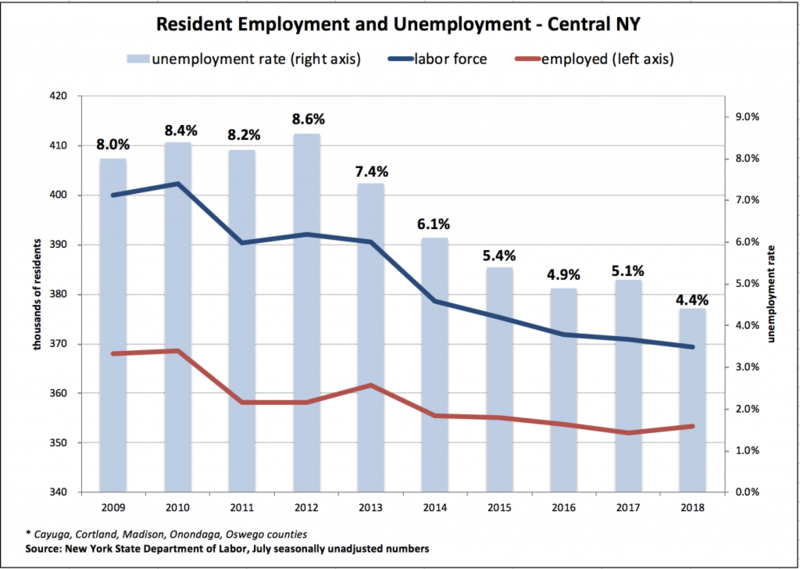 As shown below, in Central New York, the unemployment rate has dropped solely because there are fewer people available and seeking to work (the labor force), and not because there are more residents employed. In fact, as illustrated by the chart below, the number of employed residents as of last month was 4 percent (14,700 people) lower than in July 2010, while the labor force during the same period had decreased even faster—by 8 percent (30,600 residents). So, again, yes: the Central New York unemployment rate has dropped almost by half since Governor Cuomo took office. But that’s only because so many people have either stopped looking for work, or moved away from the region entirely. And the same pattern is true for upstate New York as a whole (but not downstate, where unemployment has decreased while both the labor force and employment were increasing).